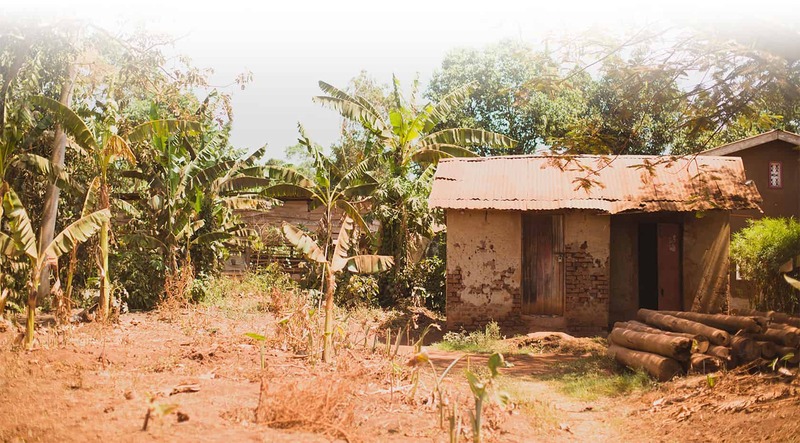 Although Uganda has seen a lot of urbanization in the past few years, the majority of Ugandans are still subsistence farmers — working tirelessly to provide enough to feed their families. 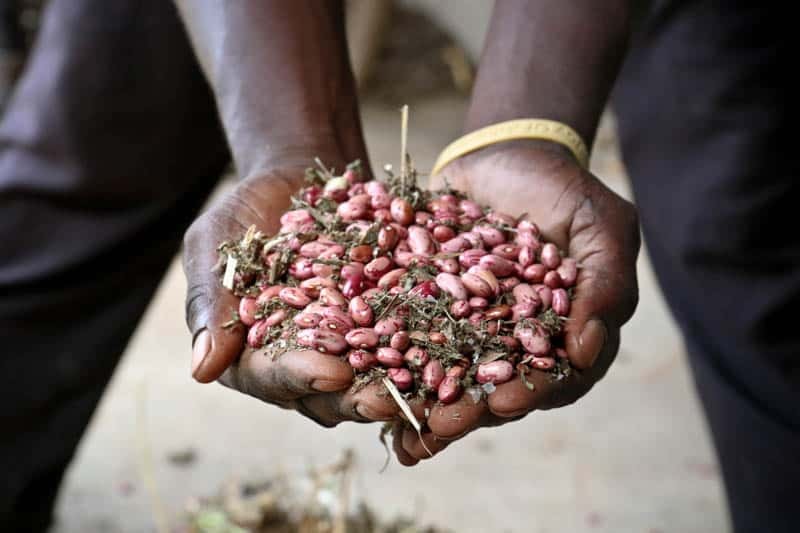 Uganda’s two rainy seasons and plentiful sunshine should mean that families have the ability to grow plenty of food to sustain them throughout the year. 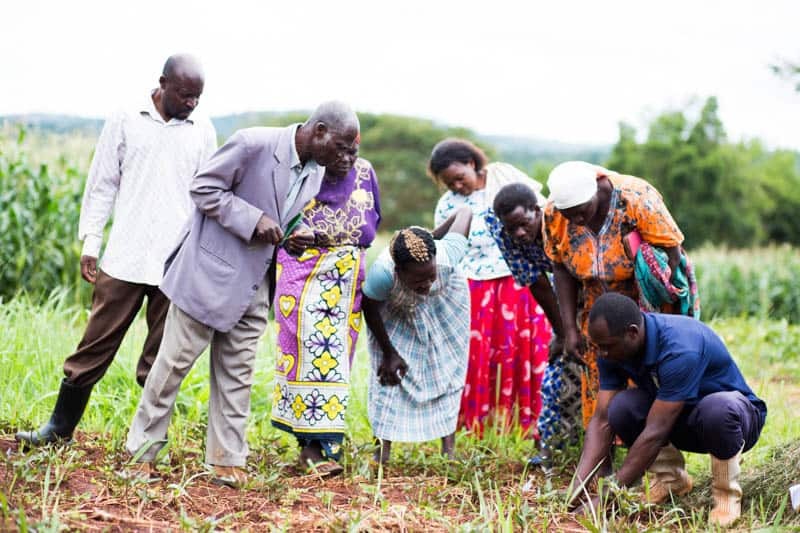 Unfortunately, poor farming practices and loss of motivation has left many fields in poor condition, and families who struggle to find enough to eat. 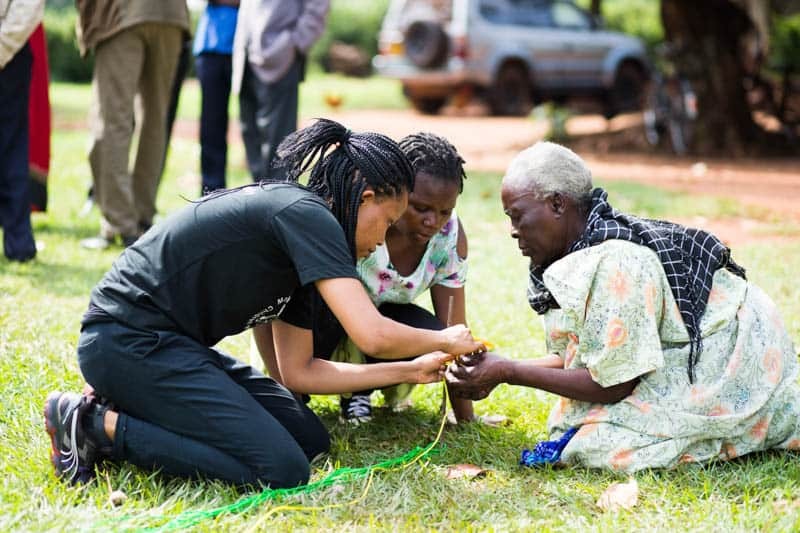 In an effort to continually improve our programs and help the families we work with become more self-reliant, the Amazima Farming Outreach was started in 2012. A need was observed to assist parents and guardians of children in our Scholarship Program to become better equipped in caring for their families. Since our Education Scholarship Outreach operates in a rural area, the majority of our families are subsistence farmers. Farming God’s Way addresses the problems our families are facing by addressing the spiritual aspects of poverty while giving them sustainable and profitable methods for farming. 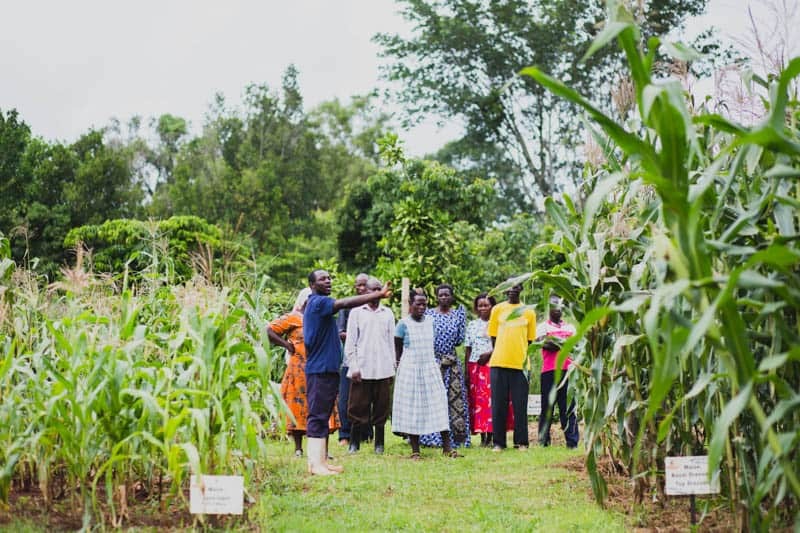 Farming God’s Way is not an organization, but rather a resource to teach improved and sustainable conservation agriculture methods to local farmers, based on biblical principles. 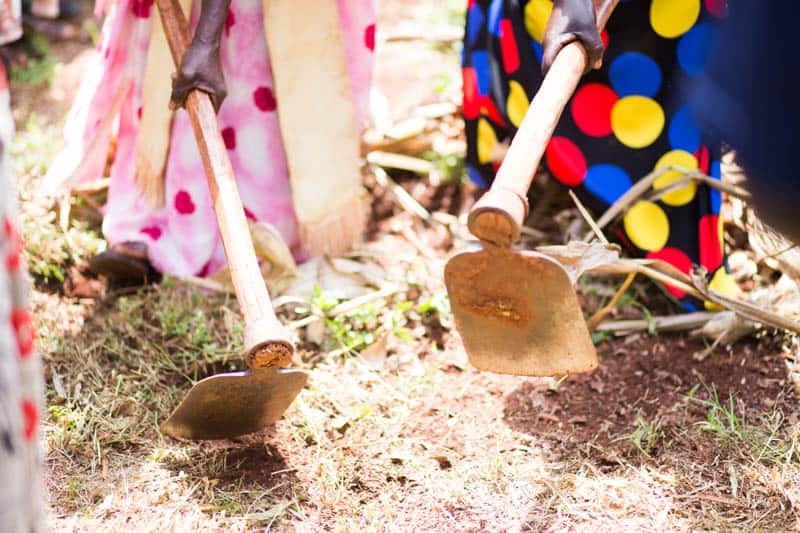 Our Demonstration Garden is a six-plot area designated for side-by-side comparison of Farming God’s Way and traditional Uganda farming methods. 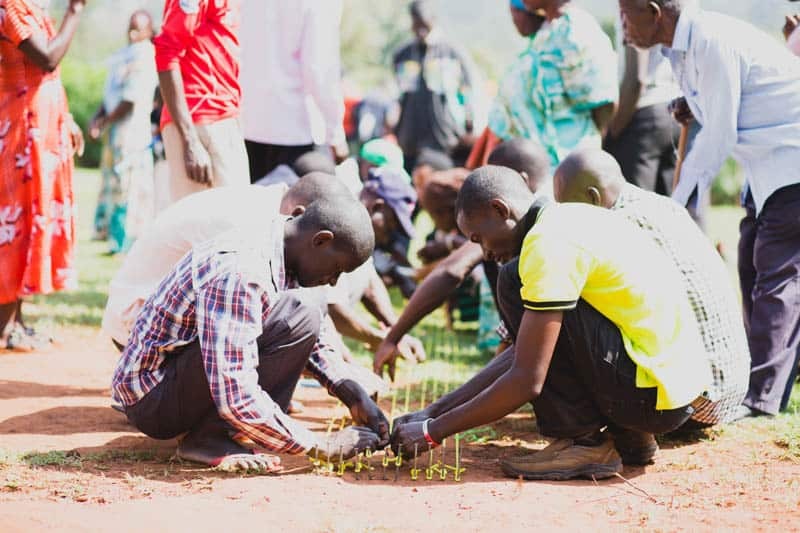 This allows students and visitors to see the reality of agriculture in Uganda. 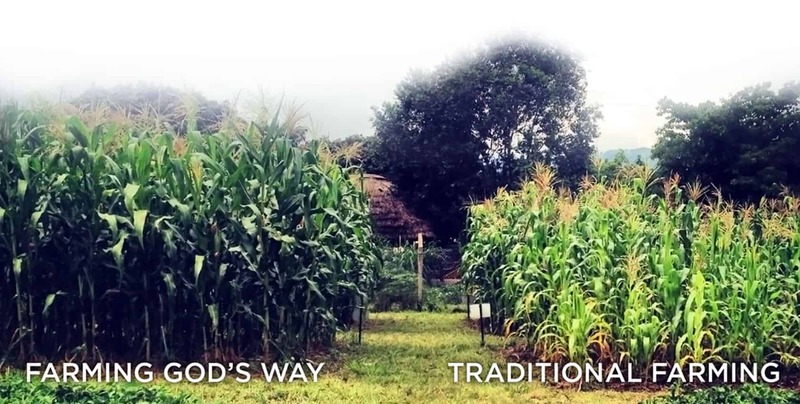 After the first year the traditional gardens were showing signs of soil erosion and decreasing yields, while the Farming God’s Way plots show increasing yields and little to no soil erosion. The large-scale gardens, planted and cared for by our full-time farm workers, are an excellent display of what is possible on a scale necessary to provide for a family. Farming God’s Way training classes are held on a bi-annual basis and are taught by our farm staff. After each class follow up visits are conducted at the student’s gardens to help them implement the new techniques taught to them in class. Visiting our students allows us to pray with, disciple, and encourage them in all aspects of their lives. Field Days are also held twice a year at our land, they act as an open house for our farm. 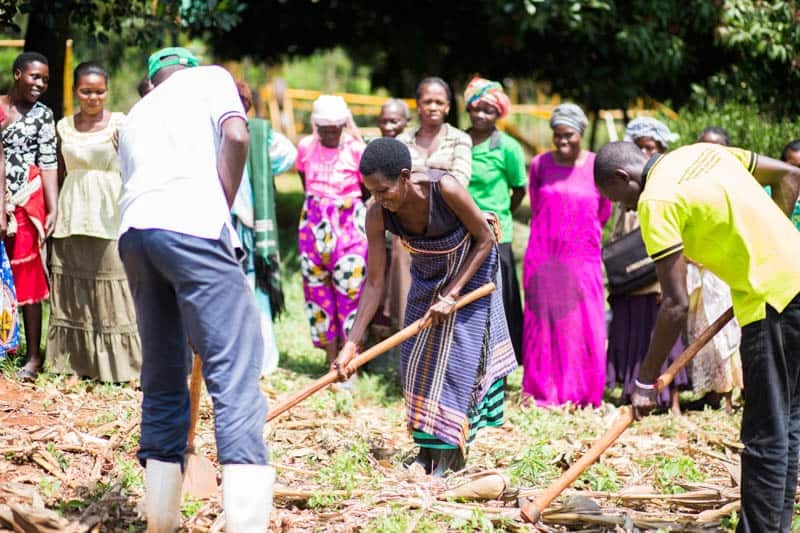 Through promoting Farming God’s Way we hope and believe that agriculture will be changed in Uganda to the benefit of people who need it most. 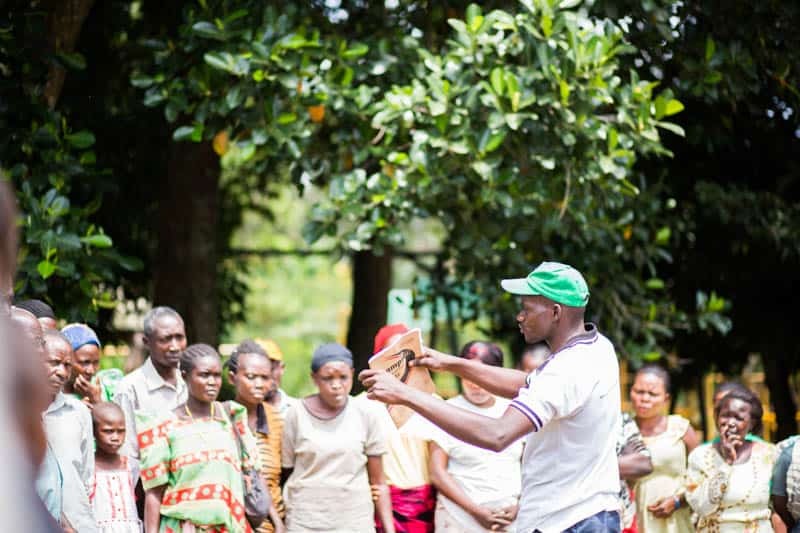 The last piece of the puzzle for subsistence farmers in Uganda is getting a fair price for their products. 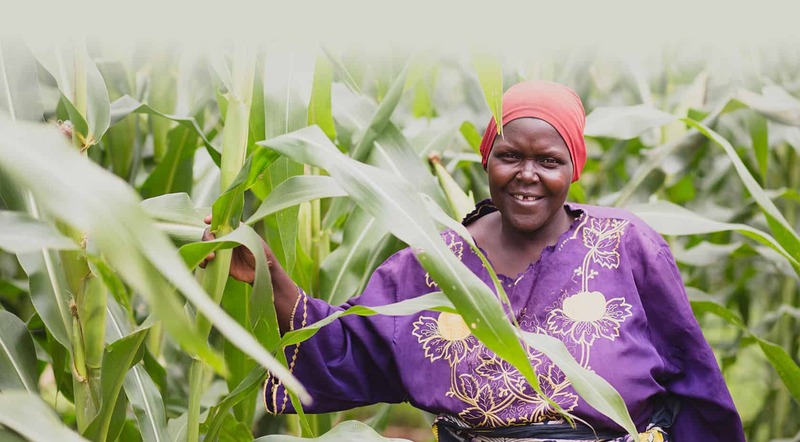 The majority of farmers have no means to store maize (corn) for an extended period, and is therefore subject to the price of the crop at harvest, which is the lowest price for the year. 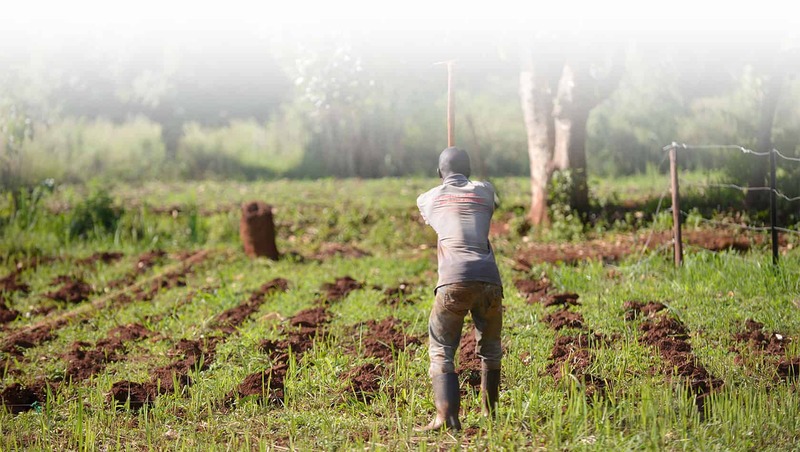 Although Farming God’s Way will increase our farmers’ yields, we want to ensure they can get a fair price for their work. Amazima constructed a warehouse where we buy maize and beans from farmers at a price reflecting what the product is actually worth. Our families can feel good about increased yields, a fair paycheck for their work, and know that their crops are feeding their community.